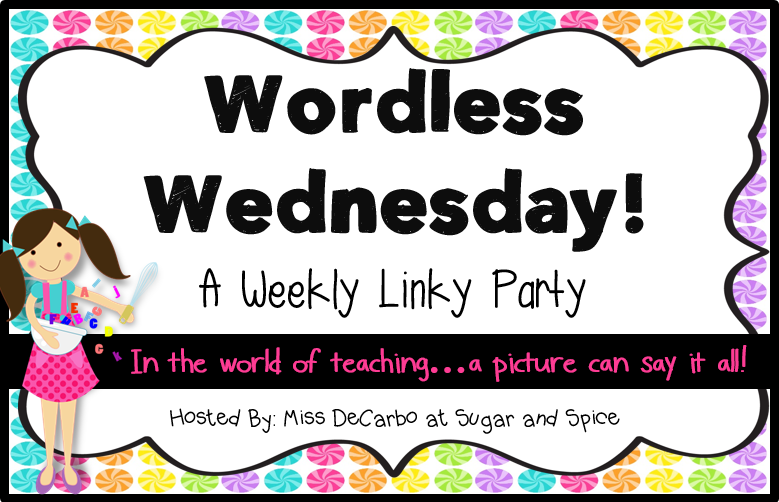 Just linking up with Sugar and Spice for Wordless Wednesday! As my year is winding down - I am starting to decide what I am going to send home with students over the summer for practice. I am also starting to get my copies ready for next year. What do you do to prepare your students for summer and to prepare YOURSELF for the new school year. Is there anything you are able to get done ahead of time? How do you organize it all when storage is at a premium? I never organize at the end of the year! Then I pay for that when school starts back and I have to clean up the mess I left behind. At my school we have to get everything off the floor so the custodians can wax and that is what we are doing this week. It's a mess! (Visit my blog for a picture) When I taught third grade I would always challenge the kids to keep a reading log and share it with me when they returned to school in August. I also asked them to write letters to me over the summer- in cursive! 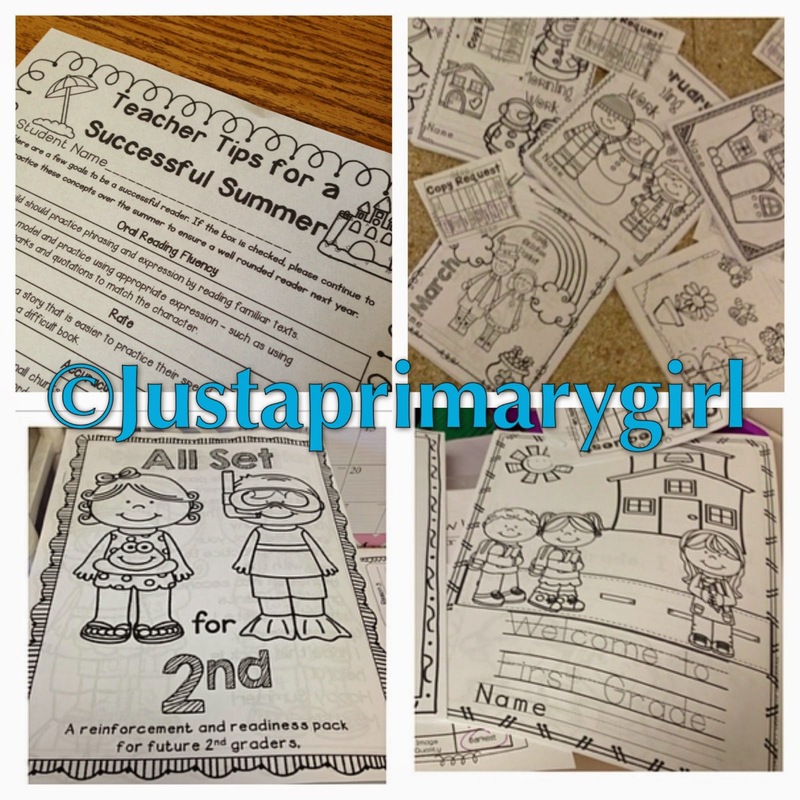 Your packet looks great and I adore your colorful blog! I am totally purging at the end of this school year! I have an awesome aide this year who has been cleaning like crazy for me!! She hated all the extra stuff we had laying around my room that we hadn't used! We have been able to go through most of all of my filing cabinets, and she has even cleaned my WALLS!! On Friday, my last day with her, she is going to start prepping some copies for me for next year too!! I am changing rooms so I really purged this year! I didn't copy anything but I am going to be reading the novels that we will use for novel studies and looking at our new math program, Go Math! Your packets look really cute and fun! We also just adopted Go Math, but I have't seen the curriculum yet. I'm excited to hear positive feedback. I'll be following your blog to see how it works out for you, although I'm second grade, there is bound to be some overlap in organization at least. Good luck! We also have to get everything off our floors so they can be polished and waxed. And we have to empty our filing cabinets to half capacity so they can be easily moved. This has inspired to to ditch the filing cabinet altogether in favor of organized binders. The exception is one clear plastic filing tote which will hold the copies and papers for the first few weeks of school. My idea is to use this as a monthly tote with the papers prepped and ready. I can see this falling by the wayside about January. Isn't it nice to have lovely ideas, though? Does anyone else have great ideas that they don't always follow through on? I also have a goal of scanning the papers I don't have digitally. Let's be honest it's easier to open a file in dropbox from team planning in a colleagues room, or from home, to see what I have. We shall see if that goal is accomplished! I am sending home a review packet with the promise of a reward for those who complete it and drop by to visit me at the beginning of the next school year.